If you are currently engaged in a relationship characterized by coercive control, the following resources may be helpful. Be sure to explore them in a safe environment where you can access information freely and without concern for your physical, emotional or psychological safety. If you cannot find a safe place in your current situation, we encourage you to take whatever small steps are possible to formulate an action plan for you to be safe. 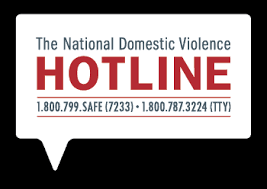 Advocates at the hotline are available 24/7/365 to talk confidentially with anyone experiencing domestic violence, seeking resources or information, or questioning unhealthy aspects of their relationship. Their website is also a helpful resource. Polaris Project manages a hotline specifically geared toward aiding victims of human trafficking. 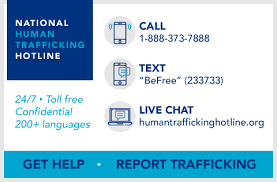 The website is also a great resource for those searching for social and legal services for victims and survivors of human trafficking, or to connect with training and volunteer opportunities across the U.S. and its territories. International Cultic Studies Association maintains a list of mental health professionals across the United States (and beyond) with specific experience working with victims of spiritual and/or psychological abuse and/or their families. Information on available support groups and other organizations providing services to victims and their families are also included. 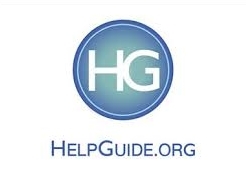 This site offers an extensive list of resources for those seeking to safely leave an abusive relationship or situation. In addition to providing a variety of free legal services, including a call-in phone-line, Texas Advocacy Project also provides downloadable guides in both English and Spanish and forms for adults as well as teens. Safety Plans outline the basic things a person needs to think about in order to stay safe and get out of a dangerous, abusive situation. WomensLaw.Org is a website that provides state-specific legal information and resources for survivors of domestic violence. The site provides information on local shelters and assistance for survivors, as well as confidential email hotline where direct support is provided to survivors, their advocates, friends and family members.